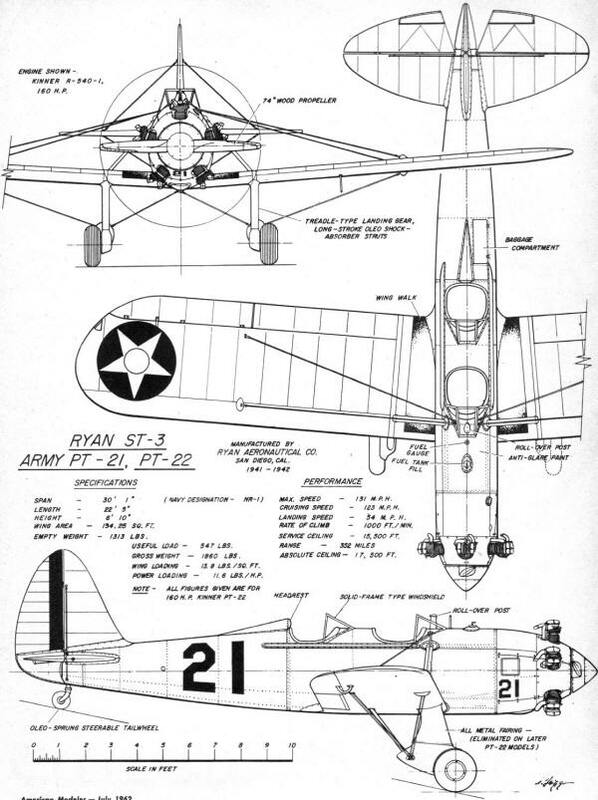 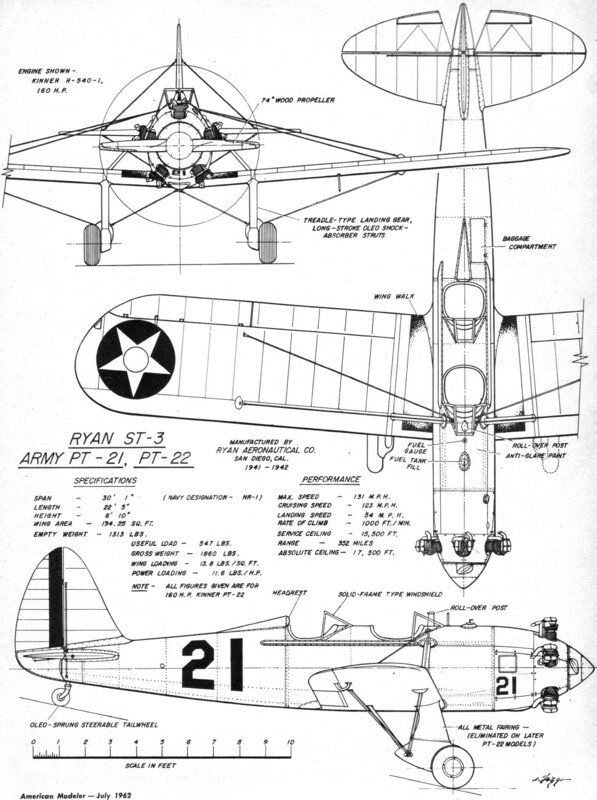 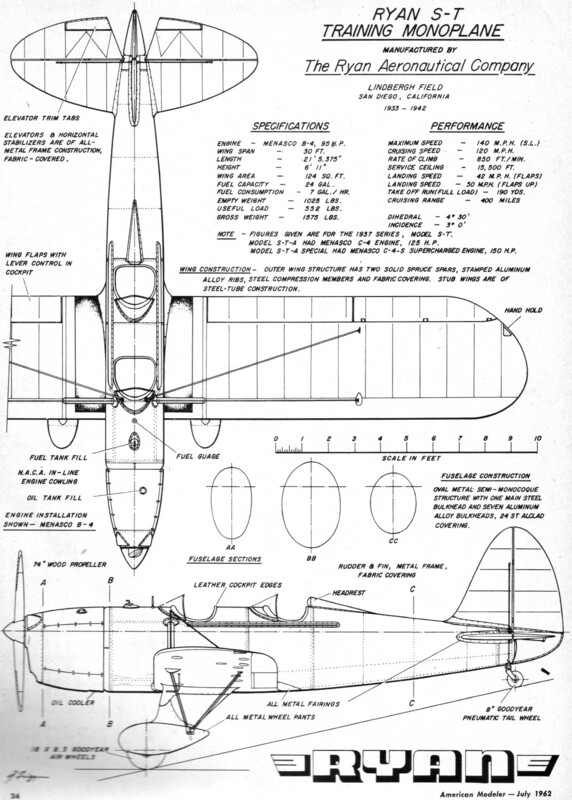 This set of very detailed drawings of the Ryan ST-3, aka Army PT-21, aka Army PT-22, monoplane appeared in the July 1962 edition of American Modeler. 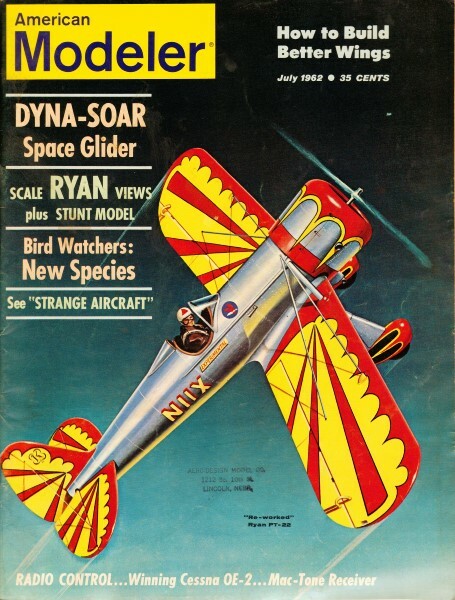 I cannot make out the signature to give credit to the fine work. 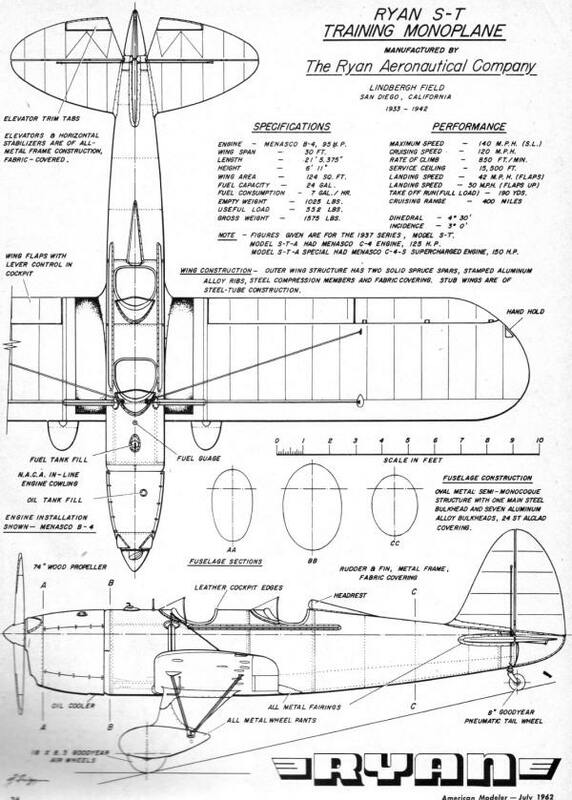 The artist included a lot of information that scale modelers in particular would be interested in such as cockpit materials, instruments, wheel and propeller sizes, etc. 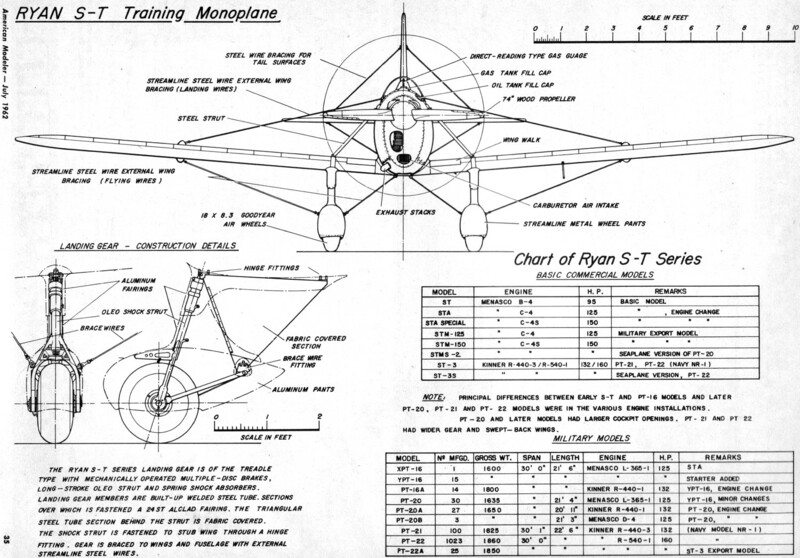 It also has a detailed drawing of the main landing gear oleo strut. 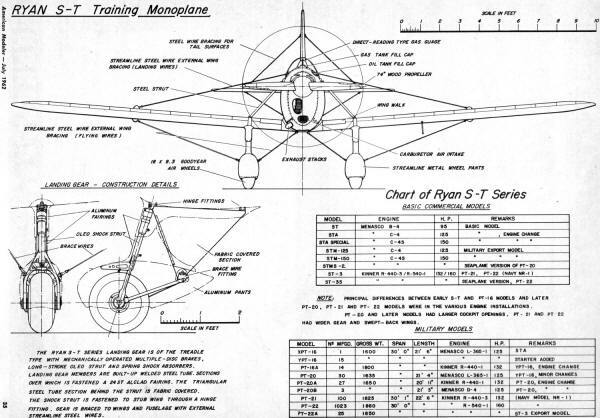 Tables of the various commercial and military designations are included as well in the set of three drawings.